Many people have an occasional leg cramp. However, they occur frequently in some people. They are more common in older people. About 1 in 3 people over the age of 60, and about half of people over the age of 80 have regular leg cramps. About 4 in 10 people who have leg cramps have at least three per week. They occur every day in some cases. Peripheral arterial disease (PAD - narrowing of the leg arteries which causes poor circulation). Note: leg cramps are different to a condition called restless legs syndrome. In this condition the legs can be uncomfortable, you feel creeping sensations in the legs, and it is relieved by walking about. See separate leaflet called 'Restless Legs Syndrome' for details. 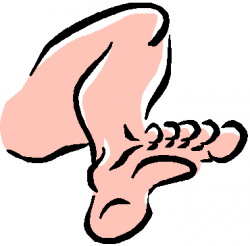 Stretching and massaging the affected muscle (usually a calf muscle) can usually relieve an attack of cramp. Most cramps soon ease off. Painkillers are not usually helpful for a sudden attack of cramp. However, a painkiller such as paracetamol may help to ease muscle discomfort and tenderness that sometimes persists for up to 24 hours after a cramp has gone. If cramps do not occur often, then no particular treatment is usually needed. However, if you have frequent cramps, you may wish to consider ways of preventing them. Tell your doctor if you take any of the medicines listed above. It may be causing the leg cramps, or making them recur more often. Alternative medicines may be available. Also, if you have other symptoms apart from cramps, see your doctor who may examine you or do some checks to rule out a secondary cause for the cramps. Stretching exercises are commonly advised. However, there is a lack of good research evidence to prove that it works. One research study concluded that stretching exercises did reduce the number and severity of cramps, but another study did not confirm this. So, as it may help, it is worth trying if you are able to do the exercises. If it works, you will not need any tablets to prevent the leg cramps. To stretch calf muscles, stand about 60-90 cm from a wall. Then, keeping the soles of your feet flat on the floor, bend forward and lean on the wall. You will feel your calf muscles stretch. Do this several times, each time for as long as you can manage. Positions which prevent the calf muscle from shortening when you are asleep may help. The following are not proven treatments (from research studies), but some experts believe that they help to prevent cramps. using a pillow to prop the feet up in bed while sleeping on your back. hanging the feet over the end of the bed while sleeping on your front. keeping blankets loose at the foot of the bed to prevent toes and feet from pointing downwards during sleep. Quinine was a common treatment and it often reduced the number and severity of leg cramps, but the FDA has pulled its use for leg cramps. Other medicines have been suggested as possible treatments for leg cramps. These include: naftidrofuryl, vitamin E, verapamil, diltiazem, painkillers, aspirin, orphenadrine, magnesium, calcium, and sodium chloride. TENS machines have also been suggested as a possible treatment. So far there is little research evidence to prove that these treatments work well. Your doctor may suggest trying one if all else fails. 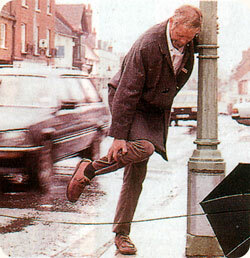 More than eight million older Americans have a condition that can cause leg pain when they walk even short distances. Yet half of those who have the condition don’t know it and consequently don’t get treated for it, putting themselves at risk for a heart attack, stroke or worse. The condition, called peripheral artery disease, or P.A.D., is marked by diseased or blocked arteries in the legs. More than half of those with such circulatory problems in the extremities also have coronary or cerebral artery disease, noted Dr. Iftikhar J. Kullo, a cardiovascular specialist at the Mayo Clinic, in The New England Journal of Medicine in March. Failure to diagnose and treat blocked arteries elsewhere in the body can result in more serious, or even fatal, problems if they affect the heart or brain. It may seem odd that people who have serious difficulty walking normal distances would not know something is wrong and get checked out. Yet, as Dr. Kullo noted, P.A.D. is both underdiagnosed and undertreated. And the number of cases of P.A.D. is only likely to rise as the population ages, he said. In other words, since walking brings on pain, people typically find myriad ways to avoid doing it. But this very response — remaining sedentary — is counterproductive, Dr. Wennberg said, because the best treatment for P.A.D. is exercise: Walking up to the point of pain, then resting until the pain subsides, then walking again, repeating the sequence until you’ve walked for 20 to 30 minutes (not counting rests) every day. With this approach, Dr. Wennberg explained, exercise tolerance gradually increases as collateral blood vessels form in the legs that can compensate for blockages in the main arteries. Just as teachers often have star pupils, Dr. Wennberg talks fondly of a man who was his star patient. When first seen, the patient, a 76-year-old Minnesotan, was afflicted with such severe peripheral artery disease that he couldn’t walk much beyond his backyard. Although a nonsmoker, the man had chronic obstructive pulmonary disease, which also limited how far he could walk. Yet he desperately wanted to be able to hike the nature trail behind his house, which motivated him to follow the doctor’s prescription religiously: Walk until it hurts, rest, then walk some more. Repeat several times a day. “He got a treadmill to use in his house, and he walked outside whenever he could,” Dr. Wennberg recalled. “In just three months, he had doubled his walking distance as measured on a treadmill in the lab, and before long he was able to walk the mile-long nature trail.” Not only did the exercise prescription reduce his leg pain, it also improved his breathing. Together, these benefits enabled him to walk the desired distance without pain or fatigue. Variable symptoms present another stumbling block to getting a correct diagnosis of P.A.D. The discomfort P.A.D. causes “is more often atypical than typical,” Dr. Wennberg wrote in the journal Circulation. “Descriptions such as ‘tired,’ ‘giving way,’ ‘sore,’ and ‘hurts’ are offered more often than ‘cramp’,” which can challenge an examining physician’s ability to suspect P.A.D. as the cause of a patient’s discomfort. A simple noninvasive test that can be done in any doctor’s office, called the ankle-brachial index, or ABI, test, can reveal the likelihood of P.A.D. The test, which takes only a few minutes, compares blood pressure measured at the ankle with blood pressure measured in the arm. Lower pressure in the leg is an indication of P.A.D. 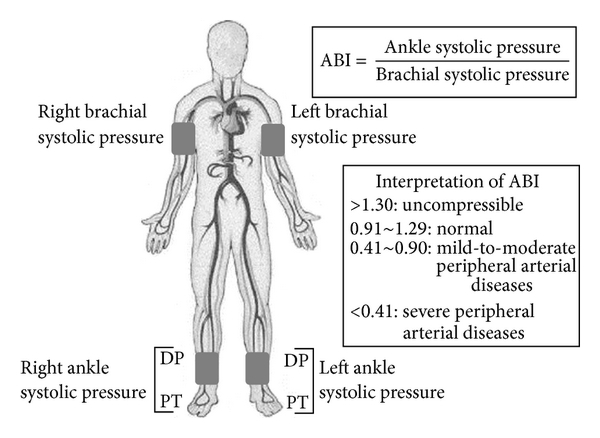 The index is calculated by dividing the systolic (top number) blood pressure in the arteries near the ankles by the systolic blood pressure in the arms. A low number strongly suggests a narrowing or blockage in the arteries that supply blood to the legs. Follow-up tests, like an ultrasound exam of the arteries to the brain, may be done as well. “If there’s blockage in one area of the body, it’s likely also to be in another,” Dr. Wennberg noted. Not surprisingly, the risk factors for P.A.D. closely match those for coronary heart disease: smoking (currently or formerly), diabetes, high blood pressure and high cholesterol. Consider asking your doctor to do the ABI test if you are 50 or older and have any of the above risk factors, even if you haven’t yet noticed a problem with walking (though insurance may not cover the cost if you lack symptoms). 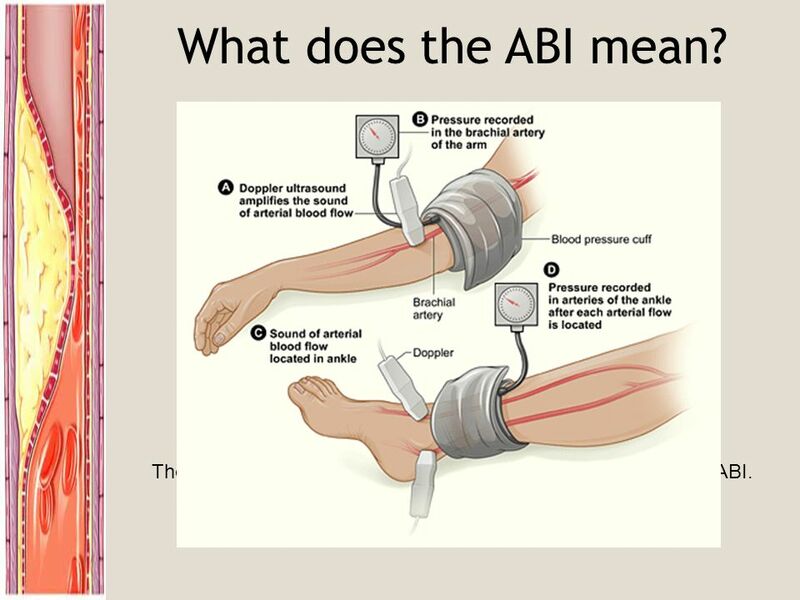 However, Dr. Wennberg wrote, the ABI test done during rest may miss peripheral artery disease in nearly one-third of patients; they may require an ABI test following exercise on a treadmill to reveal the problem. The blood pressure measurements must be taken within a minute of stopping the exercise. Given the same risk factors, African-Americans are more likely than Caucasians to develop P.A.D. The average age at which people develop P.A.D. is 70, Dr. Wennberg said, adding that it occurs a decade earlier in people with diabetes and even earlier in people who both smoke and have diabetes. Smoking increases the risk of developing P.A.D. fourfold, and more than 80 percent of people with the condition are current or former smokers.